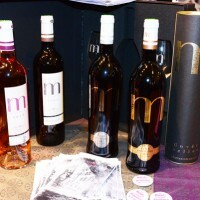 The Eleonores de Provence, ambassadors of the art of living in the Midi, showcased their delicious wines during the Grand Tasting 2014 at the Grand Carrousel du Louvre in Paris. Great success for Le Grand Tasting 2014 which has chosen this year the iconic location of the Carrousel du Louvre in Paris, to offer wine lovers a glimpse of the best wines selected by Michel Bettane and Thierry Desseauve in their Bettane guide + Desseauve of Vins de France 2015. 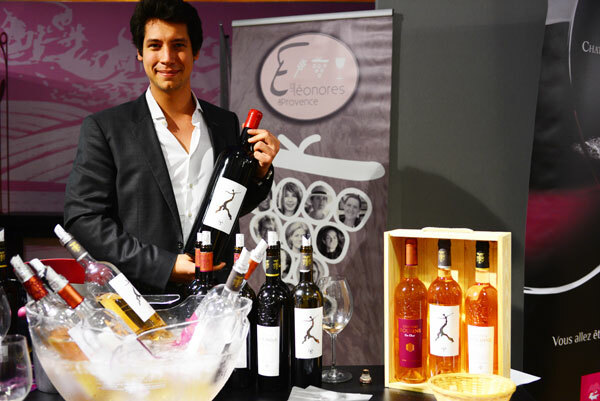 On November 28 and 29, the association of lady winegrowers, Les Eleonores de Provence, promoted the best wines of the region at this prestigious event. 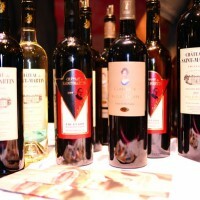 The wines taking part in the Grand Tasting have all been approved by Bettane and Desseauve; with this unique system of selection, the most legendary wines stand along talented – but unknown – young winemakers’ productions. Red, white, rosé, Champagnes, wines of all kinds come from all regions of France. On this world famous plateau, including the most exceptional vintages, the lady winegrowers association Les Eleonore de Provence gathered in the beautiful location of the Carrousel du Louvre. The President, Valerie Rousselle (Château Roubine), Adeline Du Barry (Château Saint Martin), Patrice Verdeau, representing Marie-Pierre Caille (Château Mentonne) were introducing the best wines of our beautiful region of Provence. 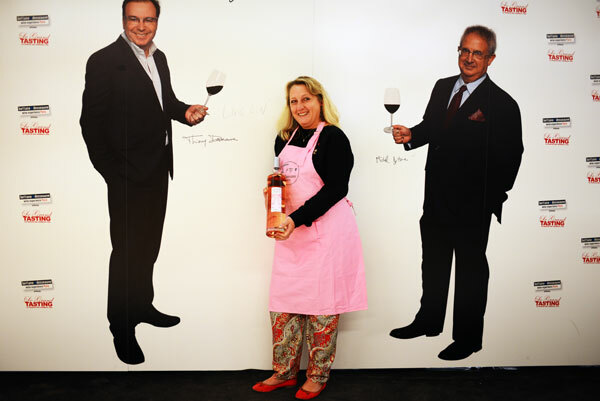 These three ambassadors, women winemakers, presented the generous, subtle and refined Provençal Art de Vivre through the tasting of their wines, whether red, rosé or white. These passionate women, recognized for their skills and expertise in the production of wines of Provence, had the honor of being selected for the third consecutive year by the Bettane + Desseauve guide, the famous sesame giving the right to participate in the Grand Tasting fair. 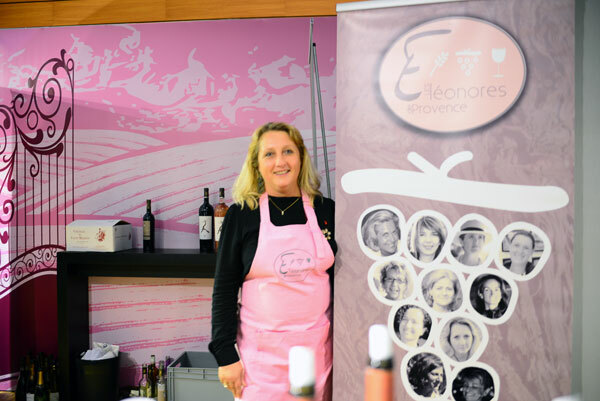 The association Les Eleonores de Provence, created three years ago by its President Valérie Roussel, aims to shape the future of the vine growing business in Provence, as did before the Étoiles de Bourgogne or the Aliénors d’Aquitaine. It now includes 35 lady winemakers who honors the respect for the values and defend the Provençal tradition of making wine (grape varieties, grape growing, winemaking techniques) to obtain a high quality wine. They also have the duty to promote and radiate the wine appellations of the region and to transmit the regional gastronomic heritage. The Eleonores are also supportive women who help each other: soon, a charity evening at Chateau Margillière to raise funds after the destruction of their vines with hail. 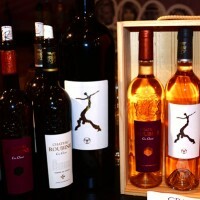 But they also animate charitable activities in order to raise funds and provide financial support to humanitarian cause like helping the victims of the great flood in the Draguignan region in 2010, or an association for the fight against cancer by auctioning to its benefit hundreds of bottles of their wines. The name of the association Les Eleonores de Provence was chosen in reference to Eléonore de Provence, who was one of the first ambassadors abroad of the Art of Living of our beautiful region in 1236, when she married Henry III of England. Throughout the two days dedicated to wine, the event was interspersed with workshops such as The Master Class and Prestige Master Class. An opportunity to discover and taste – under the guidance of experts and equipped with a Riedel glass – the best wines of one or more producers. The Gourmets Workshops enabled, under the guidance of a great chef, to taste and discover the best food and wine pairing with wines from a major producer. L’Ecole des Terroirs offered the presentation of a terroir, an appellation or a wine know-how through video presentation and tasting. This is my latest video, pretty cool huh!